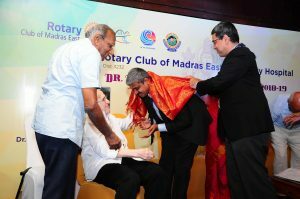 It gives us immense pleasure to announce that Dr. Hemapriya Natesan and Dr. Gopi Nallaiyan, founders of the Little Moppet Heart Foundation have received Dr. K V Thiruvengadam Award for ‘Excellence in Medical Service to the Community’ by the Madras East Rotary Club. The award is given on the birthday of Dr. K.V. Thiruvengadam FRCPE – Who was the recipient of the Padma Shri award (1981) for his contributions in the medical field. 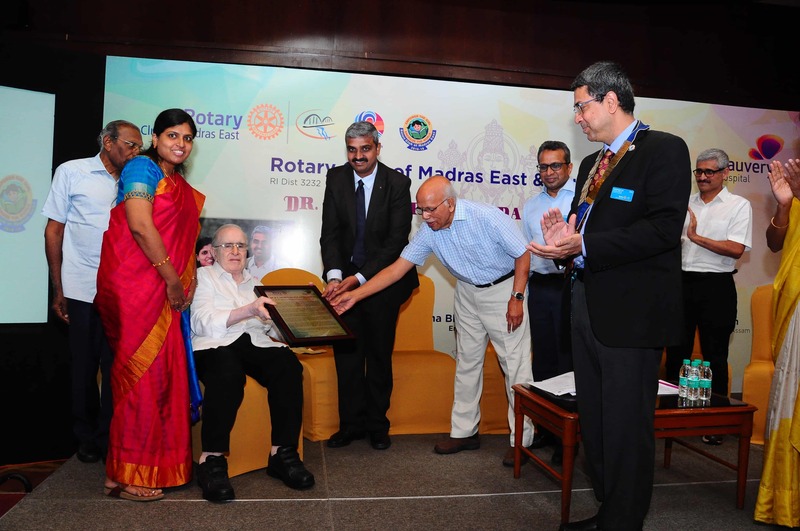 The award was received at a function attended by several dignitaries including eminent cardiologists Dr B.M. Hegde – a Padma Bhushan awardee (2010) with MBBS, Ph. D. [Hon. Causa], MD, FRCP [London], FRCP [Edinburgh], FRCP [Glasgow], FRCPI [Dublin], FACC [USA] and FAMS and Dr K.V. Thiruvengadam – who has been a physician, in consultation practice in internal medicine, chest diseases, asthma and allergies for nearly 45 years. His achievements are endless and he is also a recognized medical teacher by the Medical Council of India. We take this opportunity to appreciate and thank the entire team at the Little Moppet Heart Foundation for the support and heartfelt thanks to our donors without whom this wouldn’t have been possible. And of course, how can we forget our little patients and their families who extended their perfect co-operation and support!! Hoping to get the same support from you all. Thanks again for your support and cooperation.